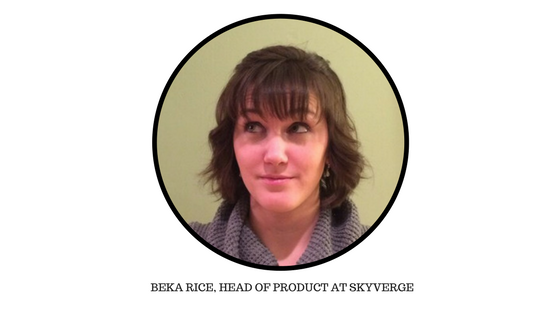 In the world of WooCommerce, Beka Rice needs no introduction. If you have spent some time with WooCommerce, you must definitely have come across the extensions from SkyVerge, or an article on SellWithWP, or this amazing cart abandonment plugin Jilt or even this WooConf’s speech on the benefits of open eCommerce. We are indeed thankful to Beka that even in the midst of a busy schedule she found time to answer our questions with such patience and perfection. 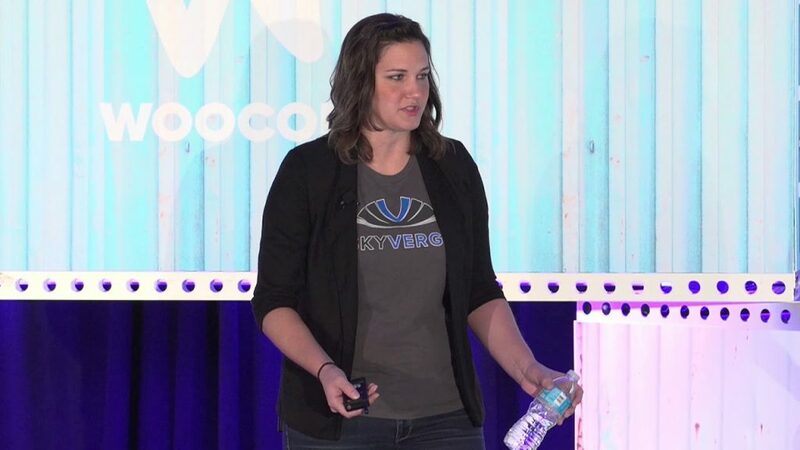 Probably this gesture of hers is a sign of how dedicated and involved she is with the WooCommerce community. In this interview, Beka has talked about different aspect of her work, challenges and motivations. You would definitely enjoy and be benefited from reading these fascinating, informative and witty replies from this WooCommerce Wiz! 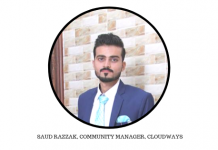 From being a Chemistry teacher to being a WooCommerce whiz, your career path got complete altered. So, I wanted to know how did you decide to leave your lucrative career in Chemistry and devote yourself completely into WordPress? But to answer your question: while I was teaching, I was also writing technical documentation and doing QA / testing as a side project. The amount of time I was spending on my “side job” expanded to the point where I had no more time to continue taking on more responsibility, so I had to choose a single job. I decided to work full time on WordPress because it afforded me the ability to work remotely and to travel more. Product Lead and Head of the Support Team at SkyVerge, Lead Editor at Sell With WP, and an independent blogger. How to you manage all these roles? Not as well as I wish I could! Over the past few months, I’ve done a lot of training and hiring, which means I’ve done a lot less writing. 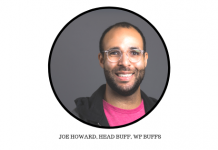 We now have a support team that’s been fully trained (and continues to grow) and we’ve hired wonderful leaders for our support team (Matt) and our content team (Josh). As our team has expanded, I’ve now been able to go back to devoting a lot of time to product development for Jilt and our WooCommerce extensions, which is the role I enjoy most. SkyVerge is the largest third-party extension developer for WooCommerce. What goes into creating and maintaining such quality extensions? Lots of love and attention 🙂 Since we’ve built over 60 extensions for WooCommerce with a fairly small team (part of my time + 4 full time developers), we’ve developed really rigorous processes for development planning, code review, QA, and deploying new versions. It’s important to us that new features are launched as smoothly as possible, so we’ve put a lot of thought into building a process that catches as many mistakes as possible, iterates with group feedback, and includes requested features that are easy-to-use. Our support team plays a huge role here as well — over the past 6 months, we’ve transitioned all support for our plugins over to our team, which has definitely resulted in a learning and growth period for us. Our support team connects the link between customers and product, ensuring that our development team is aware of customer needs, and that the projects we scope reflect those needs. I spend a lot of time these days providing feedback on projects, doing user testing, conducting customer interviews, planning new projects and doing UI mockups or wireframes, and in general, unblocking as many other people on the team as I can. At a higher level, we tend to work like this: Justin and I share a lot of product direction, with my work mainly focusing on *what* our products should do, and with him mainly focusing on technical implementation and *how* we should build it; we work together in outlining project phases and scope. Max and I share focus on the intersection of product and marketing, working on how we talk about the benefits of these features and projects, how we roll them out to customers, and how we continue to build a competitive advantage. So, my #1 focus every day is thinking about how our product can better serve the needs of our customers, and how we convey those benefits to our users or leads. I work with a truly amazing group of people. It’s easy to be motivated when you come to work excited to work with an all-star team of developers, support engineers, content creators / editors, and more. This depends entirely on what they want to sell, how they’ll market it, and if they have specific needs in terms of payments, shipping, or other store management areas. Without knowing specifics of what a store is doing, I’d have to go with WooCommerce since it’s the most versatile. Apart from work what are your other interests? I love hiking, reading (mostly) fiction, and music! Listening, singing, playing, whatever. Your work has inspired a number of newbies of WooCommerce. Any word of advice for people who want to follow your path? 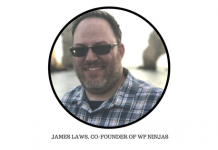 If you want to get into WordPress in general, then I’d recommend picking a plugin or niche to learn deeply, which will help you either freelance, or get hired given you’ll know a lot more about that niche than most people. If you’re looking to work with eCommerce specifically, there’s no substitute for learning what problems merchants face every day — talk to local retailers, people who are already selling online in your community, join Facebook groups or the WooCommerce community Slack, and look to solve those problems to facilitate your own learning. You’ll learn about a range of topics as you do, like payments, sales tax, shipping, recurring billing, etc., and you’ll also learn how to discover unknown unknowns when working with eCommerce stores. WooCommerce is continuously evolving and is currently the most preferred ecommerce platform for WordPress. What according to you does the future hold for WooCommerce? More growth! With WordPress’s increasing share of the internet, more and more sites are ready to use WooCommerce. In order to be sure WooCommerce works for stores small and large, more improvements for scalability are also on the docket for this year to improve performance with orders and products even further. In SkyVerge’s current stage of growth, what are the top challenges to deal with? We’ve grown rapidly over the past year, so our largest challenge has been maintaining and improving company culture. Our onboarding process walks new team members through to-dos, wiki entries to read, and initial projects over the first 4 weeks. We also share our company core values and guiding principles to ensure new team members understand how we operate and what’s important to us as a company. Finally, we encourage new team members to contribute to our team culture with feedback, suggested improvements, and sharing things they’ve done in other positions so we can constantly iterate on our company values and culture.